The Logic Controls SB-1000 has been discontinued. No direct replacement is available. Easy to operate, clear, fast and rapid data transmission. The Logic-Controls SB-1000 is easy to operate, clear, fast and offers rapid data transmission. Meets the demands of mass data transmission and menu ordering requirements while still staying efficient and accurate. The design of big screen and high-brightness display with wireless transmission is to meet the demands of hassle-free ordering. The user friendly design and operation of the Windows application interface allows users without much experience to easily operate the device. 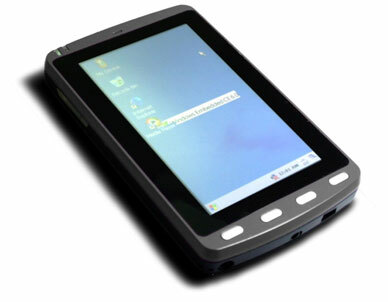 4.3" LCD Screen with resistive touch screen (500 nits of brightness/1: 800 contrast/480x272 resolution), Wi-Fi 802.11b/g+Bluetooth Class 2, USB, IP 54, 1.2 meter drop test, Splash proof, Windows CE 6.0 or Linux Android.